Getting PR coverage for your business is hard. If you’re a small to mid size business, you can easily spend up to $10,000 a month on a PR agency, which might just get you one or two media placements in a local or niche magazine per month. After an initial bump in traffic, you might visit your web logs and see things return to normal as if nothing happened. It’s very exciting to get coverage and sometimes the whole office celebrates but, more often than not, things return to normal. It doesn’t have to be that way and I’ll tell you a trick that some people are learning that works wonders – Earned Media Amplification. 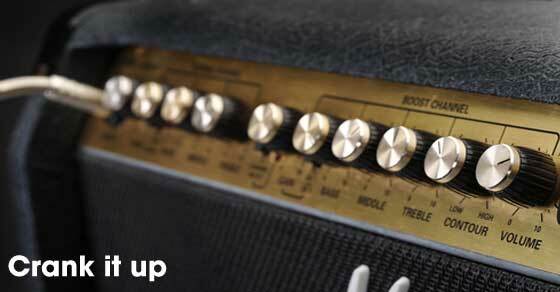 What is Earned Media Amplification? Earned media amplification is using paid advertisements to send traffic to your positive PR coverage. See, even if you make it to the front page of the New York Times’ website, chances are you’ll be bumped pretty quickly in this fast pace news cycle. You might be visible for a few hours or even minutes, because things move fast these days. Earned Media Amplification allows you to extend your coverage for days, weeks or even months at a time. One of the reasons why this is so powerful is that even with the best content possible on your site, a 3rd party will usually have more credibility. Publication – There is definitely a pecking order when it comes to news outlets, with international publications like BBC News and CNN at the top of the list. As a general rule you want to pick your more prestigious coverage over local or online outlets. This is many times a judgment call, if you’re between two outlets, you can always ask some of your existing clients which outlet they like better. Don’t Overlook the Power of Niche Publications – Sometimes a niche publication has a better reputation for your industry than a bigger publication. For example, a positive review for your product in Consumer Reports would potentially have a larger impact than one in USA Today. Links Within Articles – Most of the time, when someone writes an article about your company, they will make your company name link to your site. This will increase the likelihood that a user will also visit your site and be exposed further to your brand. The other thing you might want to consider is if the link is a “follow” link, this is an SEO term that means that the link is better for SEO. Test Different Ads – If you’re between two articles, the easiest way to determine which one is better is to conduct a small test between the two. You can then use something like Google Analytics to determine which one is having a greater effect on visitors or conversions on your site. Earned Media Amplification is a fairly new concept in the media space. Most people assume that it’s always better to run traffic to their own site but this isn’t always the case. You might have better branding and conversions sending traffic to a 3rd party site to partially pre-sell those visitors. Bonus Tip: If you plan on sending significant traffic to a 3rd party website, let them know. It will give them a heads up on why your article is getting bumped up on their web logs so much and it might make it easier to get additional coverage in the future. This entry was posted in Content Marketing on February 4, 2014 by .